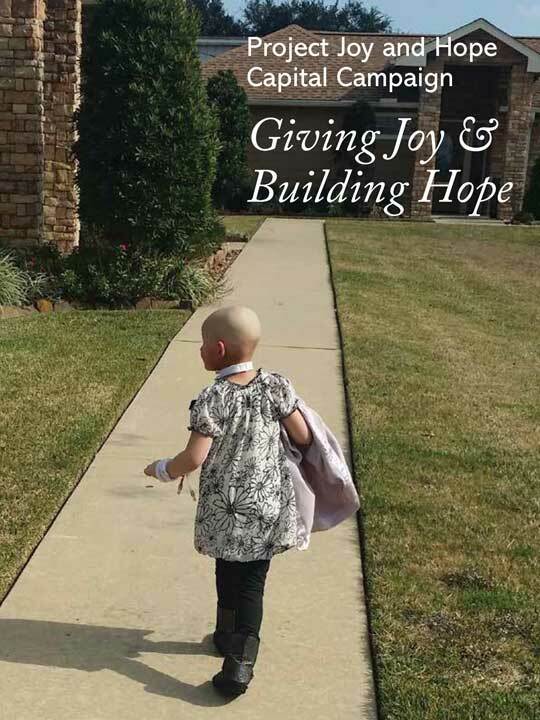 Project Joy and Hope (PJH), is a 501c3 Texas-based nonprofit organization that makes a difference every day for children with life-limiting conditions and their families. Established in 2000, PJH serves families whose children undergo serious medical treatment, await or recover from transplant, or utilize hospice and palliative care. Texas Children's Hospital, Children's Memorial Hermann Hospital, MD Anderson Pediatric Cancer Center, as well as area hospices and home health agencies, refer families through their respective social work departments. Read full article. *The Albemarle Foundation building has recently been completed at our Tulip Project. Preview our peaceful residential facilities. The Texas Pediatric Palliative Care Consortium (TPPCC) will hold its 9th Annual Pediatric Hospice and Palliative Care Essentials Conference in League City on July 27-29, 2017 at South Shore Harbor Resort. This year's conference theme is "Creating Balance through the Journey in Pediatric Palliative Care." You can get more information and REGISTER for this outstanding education opportunity now.